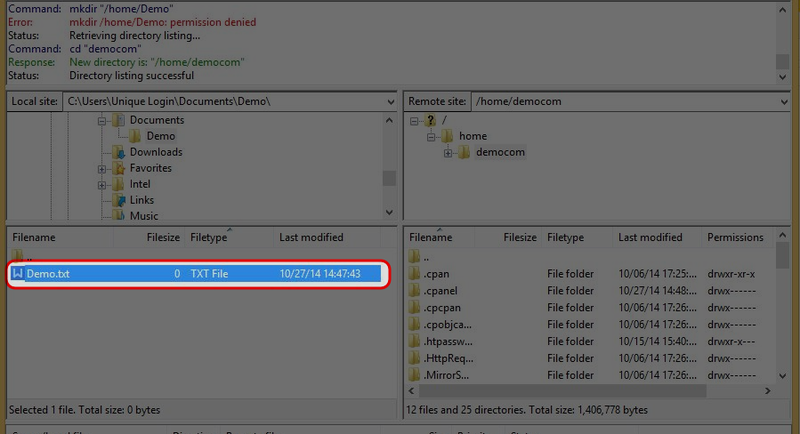 You can download FileZilla Client from http://filezilla-project.org/ and follow the instructions to download. After the download is completed, install it. 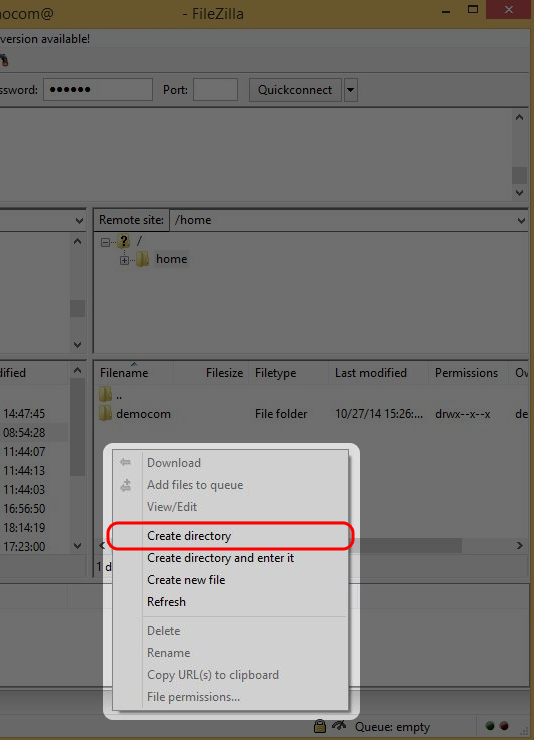 Double click on your FileZilla icon from your desktop. Click “Edit” on the menu, then click “Settings…”. 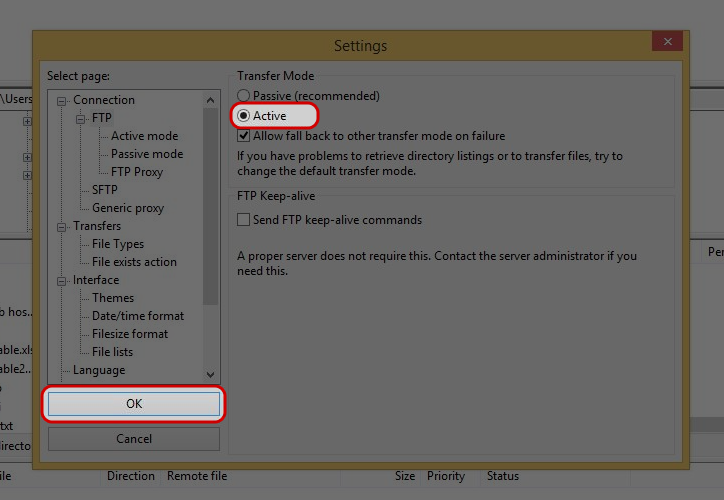 Select “FTP” from select page, then choose “Active” for Transfer Mode, and click “OK” to save the settings. 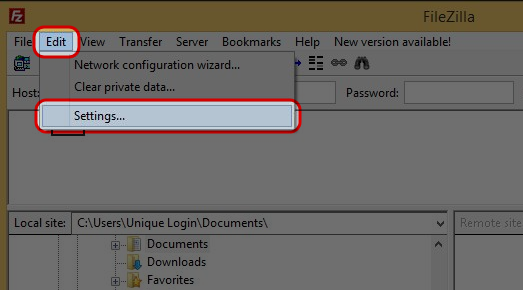 Enter your Host IP, FTP username and FTP password (if you do not have the account details, please contact Dataplugs), then click on “Quickconnect” button. 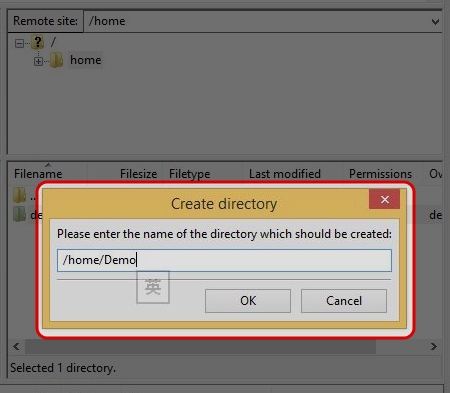 Right click and select “Create directory” on anywhere at Remote site. Enter directory name and click “OK”. Select file you would like to upload. Press “CTRL” to select multiple files from Local site. 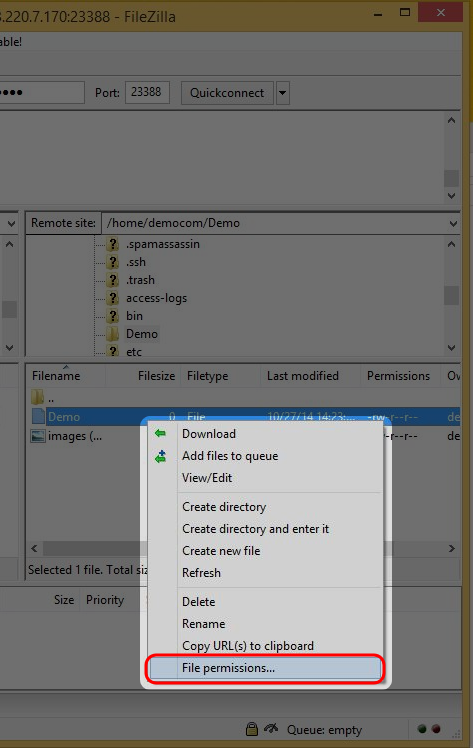 Right click on the selected files, then select “Upload” to upload files to the remote server. 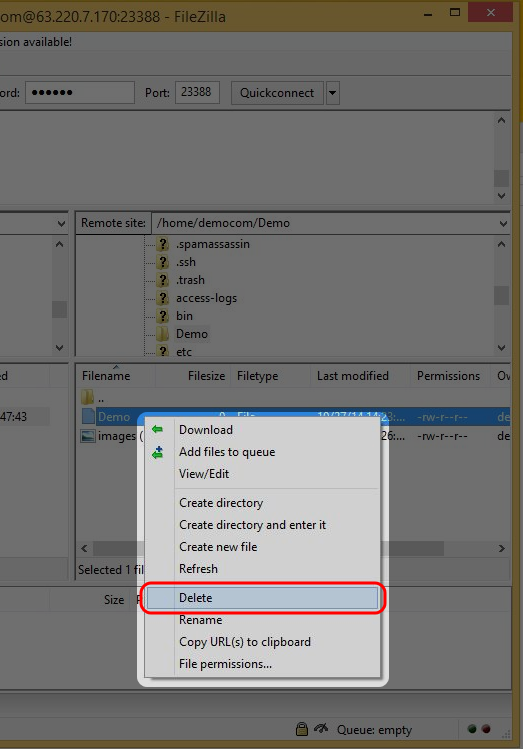 Right click on the selected file, then select “Delete” to delete file from the remote server. 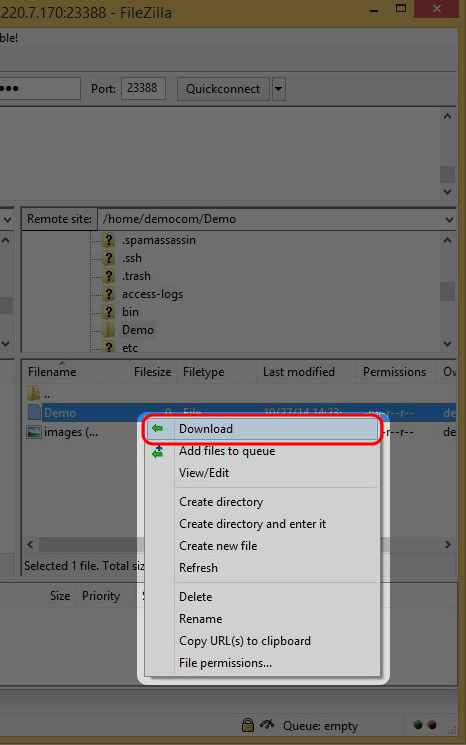 Right click on the selected file, then select “Download” to download file from the remote server. 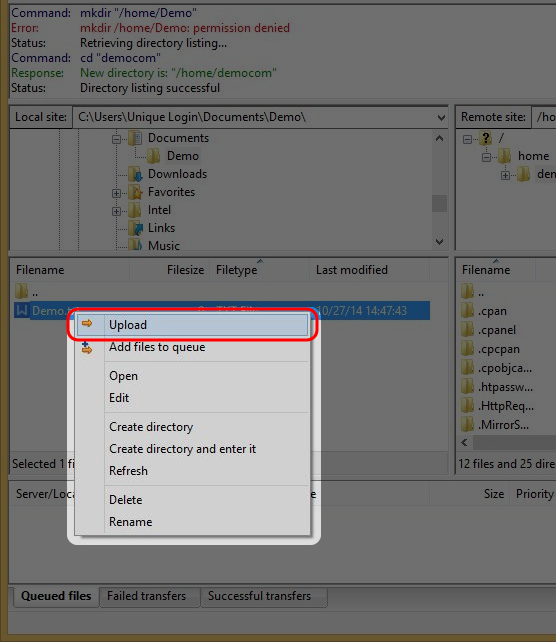 Right click on the selected file, then select “File Permissions” to change the permission. 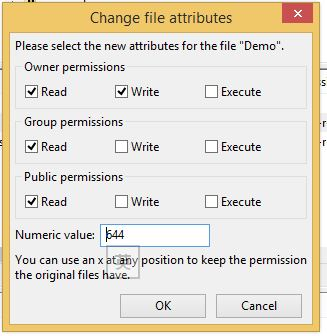 Or attribute of the selected file, then select “File Permissions” to change the permission.